Hotels in Dubai recorded the biggest increase in average daily rate, or ADR, in the Middle East/Africa region in November to underscore the emirate’s position as the fastest growing hospitality hub of the region. 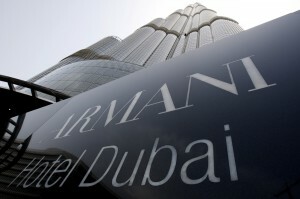 Dubai’s ADR growth of 9.9 per cent to $290.68 far outpaced the regional average growth rate. Dubai, which was recently elected to host the prestigious World Expo 2020, also boasts the region’s highest revenue per available room (RevPAR) at $254.18. The Mena region reported mixed performance results during November 2013, according to data compiled by STR Global. The region reported a 1.7 per cent decrease in occupancy to 64.6 per cent, a 6.8-per cent increase in average daily rate to $180.88 and a 4.9 per cent increase in RevPAR to $116.78. “In the Middle East and Africa region, demand is outpacing supply on a rolling 12-month basis, achieving 3.7 per cent and 2.7 per cent growth, respectively. RevPAR has been driven by rate, with a 3.4 per cent growth in US dollar terms. The region’s performance is mostly driven by Middle Eastern markets of Abu Dhabi, Dubai, Manama and Muscat, which all posted double-digit RevPAR growth year-to-date November 2013 in local currency terms,” said Elizabeth Winkle, STR Global’s managing director.